For years, Singapore had the reputation of being sterile and soulless, but those days are long gone. Yes, it’s one of the safest cities in the world, but boring it most certainly is not. Whether it’s miles of luxury brands, innumerable eating opportunities, incredible architecture or tropical natural beauty you’re after, this tiny country has it all, and it’s close enough to visit from Australia even for just a few days. Here’s our tips on where to stay to make the most of a Singapore escape. Many small boys dream of living in a fort, and at Hotel Fort Canning it’s easy to see why. Originally the HQ for the British Far East Command, there’s a sense of colonial grandeur to the building and its surrounds but the comforts are decidedly contemporary. Since the fall of Singapore to the Japanese in 1942 the property has had various tenants, with the rooms being altered from military offices to squash courts at one point. Its most recent – and hopefully permanent – incarnation has involved a renovation beyond the original façade to create marble-accented bathrooms on the massive balconies. This was inspired by the British officers’ custom of bathing before dinner, and with the deep, luxurious tubs and floor to ceiling windows offering green views it would be tempting to yield to that other British tradition – a sneaky gin and tonic before the evening meal – while soaking. Speaking of dinner, the hotel’s restaurant, The Salon, is popular with politicians and celebrities who have their firm favourites in the form of traditional local dishes such as Singapore Laksa. However, the more modern creations which incorporate herbs and spices from the Fort Canning Park garden are worth trying too (the cardamom and cinnamon lamb shank is already on its way to becoming a crowd favourite). After dinner, enjoy a tipple at the bar, or catch up on fashion mags and an in-room coffee – every room is equipped with a Nespresso machine. It’s also a pretty special experience to have a lazy splash under the stars in one of the hotel’s two mineral-water filled pools before bed. Don’t like the smell of chlorine? No problem – there isn’t one, thanks to the special water treatment system (it’s the same one used by NASA to filter drinking water for their astronauts!). The hotel’s location makes it ideal for early risers. There is a well-equipped gym, but for those who have a long to-do list, a stroll (or for the keen/completely crazy, a jog) around Fort Canning Park ticks several boxes at once. Its lush greenery provides a chance to experience Singapore’s natural beauty, while sculpture displays offer a dash of culture and commentary boards give history fans insight into the area’s colonial past and even further back in time, all in the course of working up a (considerable) sweat. For WWII buffs, the Battle Box museum inside the park details the last days of British rule over Singapore, while the National Museum of Singapore and the Peranakan Museum are both within easy walking distance, as is the Doby Ghaut MRT and its direct line to the retail pleasures of Orchard Road. 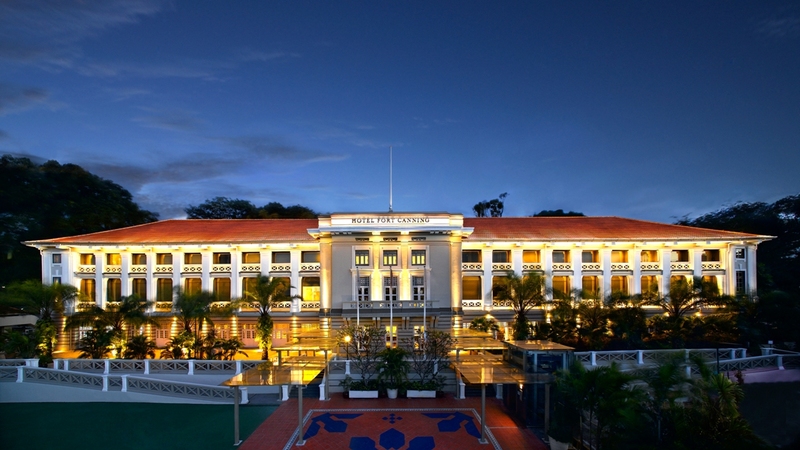 Stay at Hotel Fort Canning if: you like your comforts but also want peaceful, uniquely natural surroundings close to the centre of town. Looking for one of the most awe-inspiring views in Singapore? You’ll find it at the Mandarin Oriental. 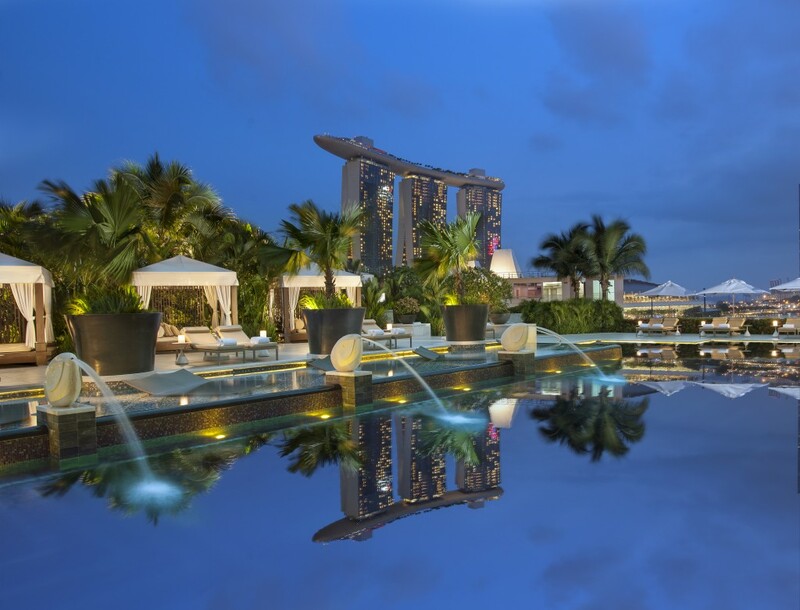 The hotel is in a prime position to offer vistas across the water (and easy access by foot or car) to the architectural marvels of the Marina Bay Sands and ArtScience Museum and the botanical delights of Gardens by the Bay. Retail therapy is on tap here too, with the Shoppes at Marina Bay Sands home to big-name brands such as Louis Vuitton and Gucci as well as a canal complete with gondola (naturally!). For those who prefer taking in the city sights from a real body of water, Singapore River Cruise departs just a few minutes’ walk from the hotel, while other outdoor entertainment options include the Singapore Flyer ferris wheel, live cultural performances at Esplanade Theatres on the Bay and the free twice-nightly “Wonder Full” light and water show at Marina Bay Sands (which can be viewed from some of the Mandarin’s guest rooms). Guests whose tastes run more to the historical will be happy to know that various galleries, museums and colonial buildings can be found in the neighbourhoods a little inland, not least of these being the famous Raffles Hotel, home to the equally renowned “tiffin”. 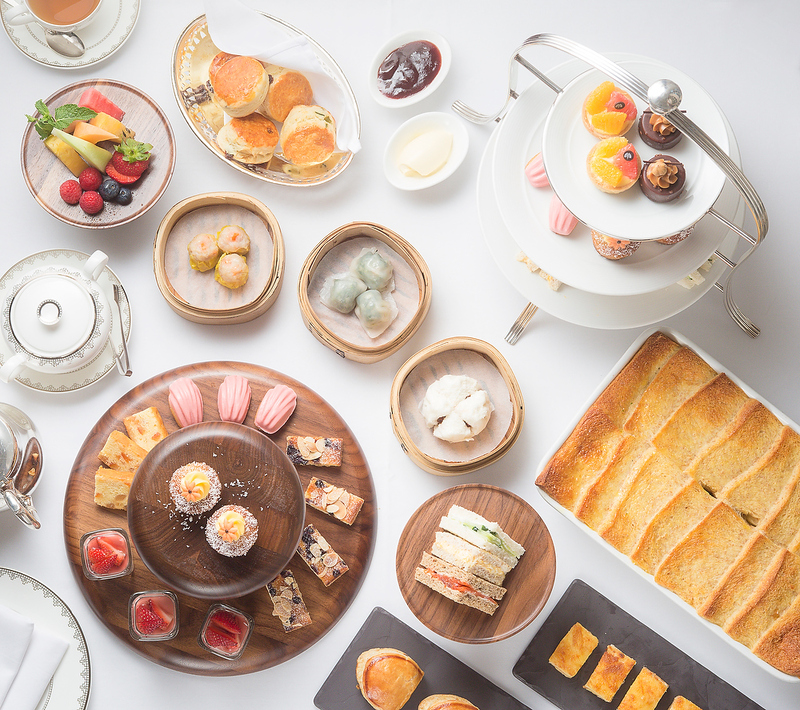 Come 3pm, the queue snakes elegantly around the historical façade as expectant diners await the chance to nibble on high tea treats both classic (three tiers of sandwiches and petits fours) and locally inspired (dim sum dumplings, curry puffs and tropical fruit). Matched with top quality loose leaf teas or perhaps the famous Singapore Sling (a “virgin” version is available for non-drinkers), tiffin at Raffles is a chance to experience life at a gentler pace amid the bustle of the metropolis. 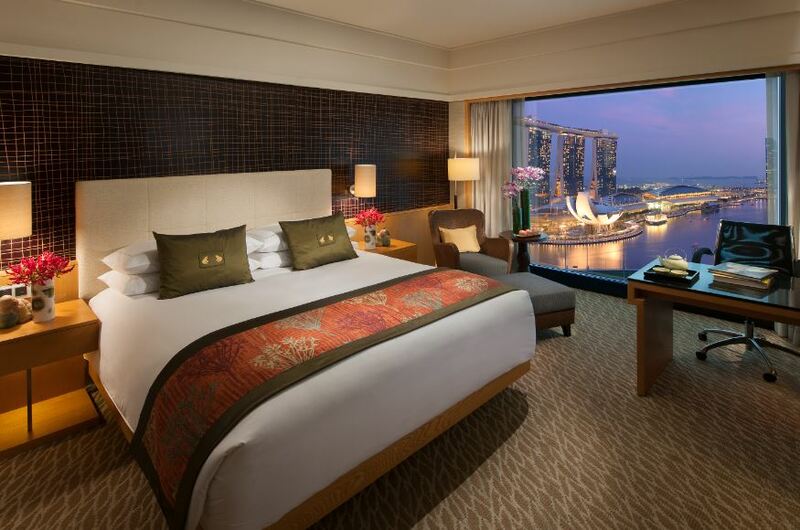 Of course, simply staying at the Mandarin presents myriad opportunities to relax. Laze in a poolside cabana or do some languid laps in the 25-metre pool, take a class in the yoga pavilion or book a session in The Spa – from foot therapy to anti-oxidant facials and even a digital wellness escape, there’s a treatment to indulge everyone. 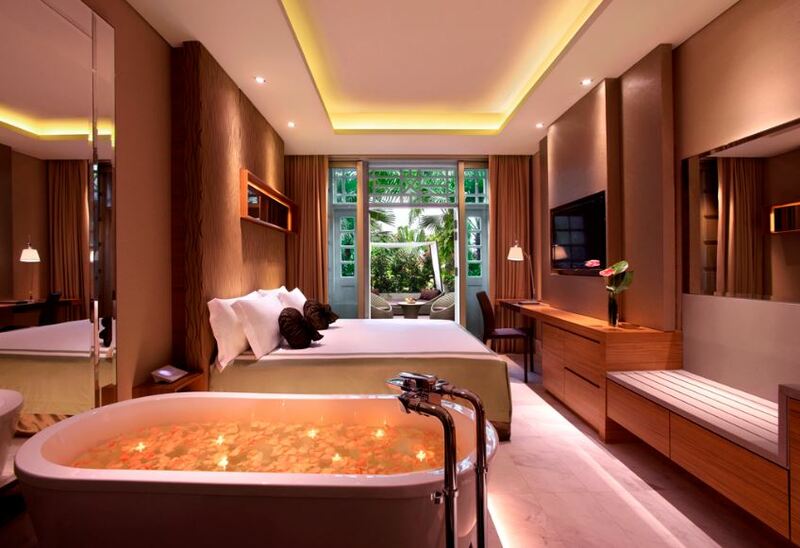 For a simpler but no less luxurious indulgence, lie back in a bath in the quiet of your room after a long day – that is, if you can tear yourself away from the imminently Instagram-able views of the city lights afforded by the floor-to- ceiling windows. The Mandarin spoils guests with dining options too – afternoon tea, cocktails, fine Italian fare poolside and Cantonese cuisine in a sumptuous feng-shui compatible setting are just a few of the offerings. But be warned: you may be so full from breakfast that no further meals are required. The hotel’s international breakfast buffet spreads over several rooms, with multiple noodle and rice offerings for aficionados of Asian fare, smoked salmon, jams and cheeses to top the grainy breads of Scandi-fans, buttery pastries and bircher muesli for traditionalists and fresh juices for the health conscious (plus an entire alcove dedicated to gluten-free breads). And if you’re still hungry, there are chefs on standby to cook up orders of eggs and pancakes just the way you like them. Stay at the Mandarin Oriental if: you need a luxurious oasis of calm just a few steps away from the centre of all the action. Formerly the red light district, Chinatown still has more than its fair share of bars and eateries open at all hours. So if you’re a foodie or have barfly tendencies, it’s the ideal spot to settle for a while. 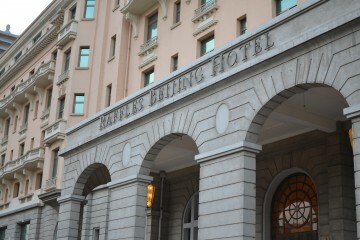 As the first boutique hotel in Singapore, Hotel 1929 is perfectly positioned to take in the scene. 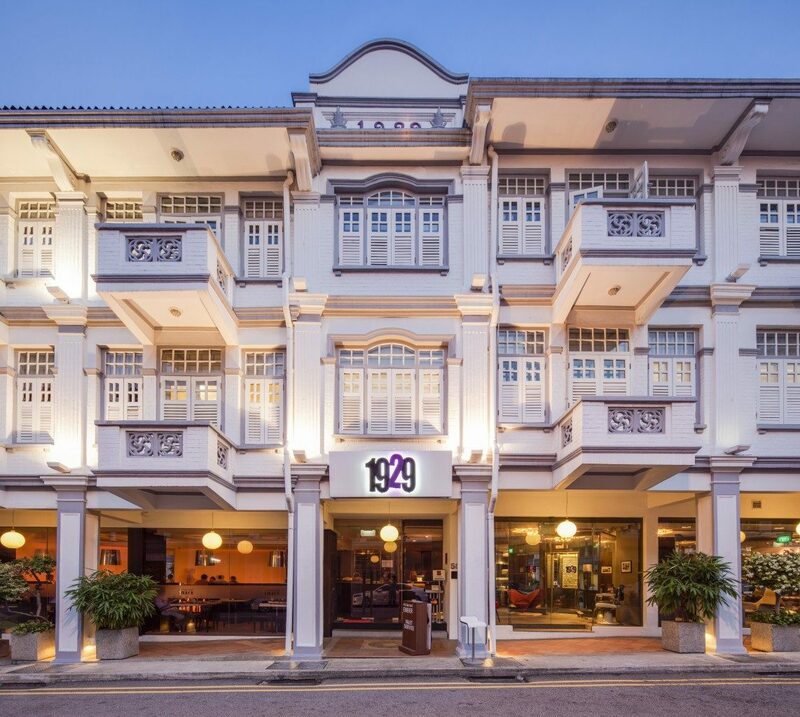 Set among a row of colourful shophouses which were once home to opium dens, mah jong houses and brothels, 1929 is now popular with solo female travellers thanks to its handy location and compact but comfortable rooms. Entry level offers a single bed in spick &amp; span quarters, but if you can spring for it, go for a terrace suite with its private rooftop patio housing a generously sized bathtub. Other guests can enjoy the shaded outdoor space of the shared patio on the second floor or chill out in the foyer under the air-con with some fashion mags and free old-school Singaporean snacks from the canisters at reception. With space at a premium, it’s the extras that make this hotel worth noting: each room is equipped with a Handy phone – basically a smartphone with mobile internet, a City Guide, unlimited local and IDD calls to 15 countries. For short-term visitors, this is a much-appreciated convenience – no need to buy a local SIM, no need to always hunt out WiFi hotspots on the go and a map that requires no folding and doesn’t add bulk to your bag (all the more room for shopping!). The hotel also offers free digital magazines for guests, so you can catch up on the latest fashion or check restaurant recommendations from local lifestyle publications. These services are also provided at the New Majestic, the sister hotel to 1929 located a few streets away across a disused railway line that is now a park. Although the two hotels are both home to their owner’s collection of unique chairs (dentists’ chairs, barbers’ chairs, various designer seating) the distinct theme at the New Majestic is art, with no two rooms alike thanks to the quirky efforts of various artists. Unique decorations aside, layouts include twin bathtubs in the centre of some rooms and a loft style sleeping arrangement, and there is a gym and outdoor pool – quite a rarity in Chinatown. While not exactly silent during the day, the streets surrounding the two hotels really come alive at night, with people chatting over drinks at pavement or window-side counters (Phat Cat, Luxe), lining up for Japanese grilled eel (Man Man Unagi), mixing it with the locals at cheap and cheerful Tong Ah for wok-fried local favourites or dressing up for dinner at contemporary eateries Cure and Esquina. Burger lovers go for Potato Head Folk with its rooftop bar, while Library keeps things exclusive with entry to the bar on a password-only basis. It’s a unique, colourful mix that makes it worth a few nights’ stay at 1929 – although early sleepers should pack earplugs! Stay at 1929 if: you’re into the bar and food scene at night or want to explore Chinese culture during the day. Images courtesy of hotels listed above.